Newcastle lord mayor Nuatali Nelmes say new ferry stops at Stockton and Wickham should be a “very strong part” of the state government’s transport master plan for the Lower Hunter. The state government’s Draft Regional NSW Services and Infrastructure Plan lists new ferry stops in Newcastle as an “initiative for investigation in 10 to 20 years, subject to business case development”. But Cr Nelmes said a new ferry wharf to service Stockton’s 4000 residents, airport commuters and Port Stephens should be a priority, along with a stop near the new Wickham transport interchange. Hunter Development Corporation is understood to have included a future Wickham wharf in its planning for a stretch of vacant Honeysuckle waterfront land near the marina. “Linking passengers from the expanding suburbs north of the Hunter River, and from Newcastle Airport, directly to the interchange would certainly create a better commuter experience for those passengers, especially workers who commute daily for work,” Cr Nelmes said. She said a new Stockton wharf could be built near the refurbished North Stockton Boat Ramp. Newcastle City Council announced last week that it was investigating doubling the size of the car park at the Stockton terminal, from 120 to 250, and introducing paid parking. It has included a north Stockton terminal in its feasibility study. 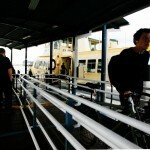 The Newcastle ferry service catered for more than 450,000 passengers in the past year, according to Transport for NSW Opal card data, although the true number could be significantly higher. Transport for NSW told the council in June that a draft of the 40-year Greater Newcastle Future Transport Plan would be released in the fourth quarter of this year. “Exploring options for an additional ferry stop at north Stockton would naturally ease pressure on the Stockton terminal, and the surrounding commuter car parking, as well as providing a great option for commuters travelling to Newcastle from north Stockton and Port Stephens,” Cr Nelmes said. Newcastle MP Tim Crakanthorp also urged the government to include the Wickham interchange in its short-term thinking, saying 10 to 20 years was far too long to wait. Supercars will use the existing Stockton car park and parkland to the west and east as a paid parking area during the Newcastle 500 weekend in late November. Acclimating to a new company can be both exhilarating and daunting. You want to jump into the role with enthusiasm, come across as a fast learner, and prove that hiring you was 110% worth it. I know: I returned to work after 10 years away and put a lot of pressure on myself to adjust as quickly as possible. While my re-entry was through a fairly unique 10-week returnship program (a.k.a., an internship program for mid-career professionals who’ve taken a break), I was subject to the same uncertainty anyone would feel upon going back to the workforce after time away. Fortunately, in addition to my background in front-line business roles, I’d had experience in leadership and professional development, so I realized that assessing the landscape and “fitting in” would be critical to my success. The role of culture can’t be overstated: Cultural norms can span the range of high-level company values to very specific action steps. They usually come in the form of unwritten rules. Are senior leaders approachable, or is there a more formal channel that you need to be aware of? Do colleagues eat lunch at their desks, or use that time to meet and network? Do people leave at a reasonable hour or is facetime important? Are they “always on” (through emails and logging in), even when they’re out of the office? It didn’t count against me: Mistakes happen! But one way I was able to fit in and move beyond my faux pas was to make a note of it and use the preferred terminology moving forward. Regardless of your most recent role, changing companies means you’re entering a new situation. And this new group will inevitably do things differently. Rather than fight to do things the way you’re used to, embrace the opportunity to adopt new approaches. For example, if your new team seems more focused on output than on strategy and analysis, learn more about the associated business impact before trying to change direction. Or, if your boss is heavily focused on a thorough analysis of ROI before moving forward with a new program, make your best attempt to understand the drivers of that need. Try it the new way at least once. That way you’ll give yourself a chance to determine which battles are worth fighting (and which aren’t). Your co-workers will be key to your success at your new company. Achieving results will require knowing whom to reach out to—at every level. Figure out who has the insights, time, or interest to help you and introduce yourself. You’ll find that most people are happy to share their expertise if you ask. And take the time to see if you have skills, insights or contacts that would be of help to your new colleagues. It never hurts to build good will. The stronger your internal network, the easier time you’ll have when you need help. Bonus: You can also build your overall network, by updating your online profile with your new role. It’s a natural reason for people to reach out and reconnect, which is always worthwhile. The benefits of exposing yourself to multiple perspectives and new experiences are vast. If you remain open-minded and park your ego at the door, you’re bound to benefit from an amazing amount of learning. Seriously, by just carrying around a notebook your first few days, jotting down questions, and seeking out answers, you’ll pick up so much more knowledge than you had before. It doesn’t matter if you think you’re supposed to know this—the fact is that you don’t and the more quickly you learn, the more at ease you’ll feel. Above all, it’s important to remember that you’re entering a group of established professionals and they’ll respect you for taking the time to understand how everything works. While you may feel an urge to share your past (and possibly lofty) experiences with your new team to establish yourself, resist the temptation to brag. Rather, use time with your colleagues to understand what they do and what they see as priorities. There will be plenty of time to add your perspective once you’ve gotten a more complete picture and have the data you need. Before long, you’ll stop feeling like “the new person” and start feeling like someone who’s been there forever—in the best way possible. If you want to be more productive in your life, you’ll have to change some of your current habits. Self-awareness is key, so you first need to be aware of the things you do (or don’t do), the toxic impact that they may be having on your life, and where they could be holding you back from accomplishing your goals. These four habits can absolutely damage productivity, but there’s a clear path on how to break all of them. On average, we spend over four hours a day on our phones, which includes 85 texts that we send (for adults under 45). The reality is, every time you reply, you’re resetting your focus and hindering optimal productivity. The first step to help text less is to turn off notifications to keep you from being distracted when new ones come in. If you’re too tempted, commit for a specific duration of time (for example, one hour) to not look at your phone—you’ll get used to this over time. Saying “yes” certainly has its benefits, especially when presented with an opportunity that’ll show the depth of your capabilities. But this can be an unbelievably slippery slope. Once you become stretched too thin, you’ll no longer be able to deliver quality work across various projects, and they’ll all begin to suffer. On top of that, while your intentions may have been in the right place, it may prevent future opportunities from coming across your plate. Trust me, your boss will appreciate the fact that you’re being honest, especially if various projects could be negatively impacted. 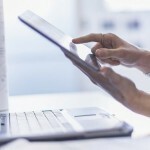 First, you should declutter, physically and digitally. If you’re willing to part with the messy desk, it’ll be a cathartic exercise to actually have a fresh space to work at. Next, think about how you’re prioritizing and what tools you’re using to monitor all the tasks you have. Over the years, I’ve become intimately familiar with the likes of project management tools like Basecamp, Trello, and Asana, but have also upgraded my notes and to-do lists with the likes of Evernote, Todoist, and Dropbox Paper. Regardless of what you use, do some “grooming” and prioritize by those tasks with the highest weight. It’s 9 AM Monday morning, and you’re digging yourself out of the abyss that is your email inbox. But five minutes later, you get pulled into an urgent meeting that ends up lasting two hours while there was a time-sensitive email that you missed. Where there are definitely intangibles that you can’t get away from, taking an extra step to control what you can with a schedule you create will pay long-term dividends (especially for your sanity, too). Spend 30 minutes on a work night (or Sunday) to plan out your day. Check your email, plan your to-do list, and know exactly where you’re going to allocate your time. Block out 30- to 60-minute time slots on your own calendar to ensure you stay on-schedule and on-task. With the additional visibility, you can plan ahead fewer surprises, and if something unplanned does happen, you’ll know exactly where you need to pick things back up. ANYONE who works on this project, said Ben Marmont, understands how it will reshape Newcastle. 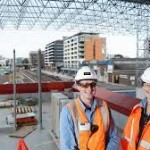 The project engineer for the Newcastle Interchange at Wickham was speaking as a hive of activity surrounded him one June afternoon. Workers were just putting the finishing touches on new cabling for the train platforms, which have quietly taken shape over the past year, a station that the government believes will move thousands of passengers each day after the opening of the light rail network. It will be the “transfer point” between heavy rail, light rail, buses and coaches. The $70 million project is nearing completion, and the government has confirmed it remains on track for an October opening. It comes as the Newcastle Herald last week revealed more than $1.6 billion worth of development is either in progress or in the pipeline for the CBD – new works which will undoubtedly change the face of the city. It is a fact not lost on Mr Marmont. On a tour of the new interchange, the Herald was told more than 200 workers had been employed at the site at the peak of construction. The building is on two levels, with the ground floor open to the public and staff housed upstairs. Fit-out of the office space is well under way, while landscaping – including the plantation of palm trees – has taken place on the ground floor. Tracks have been laid on the heavy rail side of the interchange, while commuter signage has been installed on the platform. The platform is roughly the length of two football fields. “Driving past can be deceptive; it’s hard to grasp how big and complex the project actually is,” Newcastle Interchange engagement manager Kelly Lofberg said. The government says it has not yet made a decision on the future of The Store building, which neighbours the interchange, as it is still “market testing” private sector interest in the site. As work on the interchange nears completion, new developments have started to crop up in Wickham, including the neighbouring $9 million Bishopsgate Apartments. And plans for a $71 million high rise on Railway Lane are currently before the council. STATE government officials say they have learnt the lessons from of the roll-out of light rail in Sydney, and have vowed not to repeat the same missteps in Newcastle amid concern for the survival of Hunter Street retailers. Labor MP Tim Crakanthorp said there were “grave concerns” for many businesses directly affected once construction of the rail line begins, mirroring the plight of some retailers on George Street in Sydney, which has been a construction zone for two years. In September, the government will begin to close sections of Hunter Street to traffic, before working down to Scott Street next year. 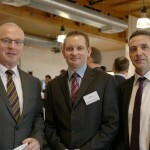 Revitalising Newcastle program director Michael Cassel warned that some businesses would feel a pinch during that time. However, he said that the government was prepared to adapt its plans if they didn’t work. “The lessons that we’ve learnt and taken on board [from George Street] are you have to have a very close relationship with the business community, you need to be able to react if things aren’t working, don’t expect your construction schedule to occur without bumps – there’s going to be times where things don’t go perfectly right – and be agile enough and focused enough to change,” Mr Cassel said. Mr Crakanthorp said some Hunter Street businesses would “undoubtedly” close. “There will be a lot of pain, more than they’re saying,” the Newcastle MP said. Mr Cassel disagreed there would be mass closures, believing many could benefit from new trade associated with light rail workers. “I don’t think you can say it’s just because we’re building light rail that businesses are finding it difficult,” he said. Knowing exactly what you’re doing at work is a great feeling. You’re confident, full of ideas, and ready to tackle anything. Except—lately, you’ve noticed your co-workers seem to be avoiding you. They’re not extending invitations for group projects and you’re pretty sure you caught them rolling their eyes when you speak. The harsh answer is, to quote an old cliché: “nobody likes a know-it-all.” The more nuanced one is that they want to feel good at their jobs, too, and if you swoop in with the right answer all the time, they don’t have that chance. So, it’s not enough to have the best ideas—you need to pay attention to how you deliver them, too. On the bright side, a few simple shifts can help you salvage your reputation, and once you do, you’ll have the complete package of good ideas plus thoughtfulness. When you share your ideas first—especially if they’re strong—you eclipse your teammates’ ability to contribute. Yes, they can still build on what you’ve said or add something different, but your behavior sends a signal that you don’t really care what they have to say. After all, if everyone agreed to go with your plan, there’d be no reason (read: opportunity) to hear anyone else out. Conversely, when you let others speak first, you’re giving them a chance. It shows that you think they have ideas worth listening to as well. This strategy does run the risk that someone else will have the same brilliant thought as you, and he or she’ll get credit for it. But, that’s a good thing! If you agree, you can amplify it by saying, “I like Tina’s suggestion,” which’ll go a long way toward repairing the impression that you only value your opinions. One time you have to speak first is when you’re the one leading a discussion. But, as we all know, there are two ways to go about presenting an idea and asking for feedback. Truth talk: There’s usually more to being seen as a know-it-all than an excess of good ideas. It often comes with a side of arrogance. It’s good to be ambitious and push yourself to contribute as meaningfully as possible, but it shouldn’t be at the expense of making your teammates feel like a bunch of runners-up. So, ask yourself: Do you acknowledge when someone else has a good idea? Do you concede when you’re wrong, and back down when it doesn’t make a difference? Where you’ve previously searched for holes in people’s ideas, challenge yourself to look for—and comment on—their strengths. As someone who struggles to avoid coming off this way, I know the insecurities that come along with reining it in. You worry about downplaying all you know, and losing out on opportunities because of it. Or you don’t want to step back from a leadership role in a discussion—even once. Or you’d feel overlooked if someone else gets credit for an idea you were thinking and had forced yourself to hold in. Here’s the thing: I’m not telling you to silence yourself or hide your genius. If you have an idea and you want to speak up and first, go for it. If you feel strongly about taking a project a certain direction, say so. Just realize you don’t have to operate at that speed all the time. If you pick your moments, you won’t just give others a chance—you’ll find they’ll be more supportive of you, too. Leonardo da Vinci. Marie Curie. Thomas Edison. Beatrix Potter. What did all four of these people have in common? Not only were they all highly motivated and creative individuals, but they also all kept some form of an idea journal. An idea journal is not a diary where you have to record all of the details of your day. Rather, it’s a place where you jot down daily goals, achievements, observations, ideas for projects, quotes, or other bits of inspiration. If you’re working on a project, you can fill your journal with updates on your progress, thoughts on how to improve the project, and anything else that motivates you. A writer’s might be filled with ideas for stories or articles or blog posts. An artist’s might contain sketches or inspirations for drawings. Ultimately, the idea journal exists as a private place to plant your thoughts and watch them grow. Leonardo da Vinci may not have kept an idea journal strictly speaking, but he did fill hundreds of pages with sketches, scientific diagrams, ideas for new inventions, and reflections on art. These pages were bound together as books after his death. To make his writings even more private, da Vinci often employed a kind of shorthand and didn’t worry about perfect penmanship or proper punctuation. What he did care about was carefully recording his lab notes and his many ideas for new inventions—everything from a flying machine to a submarine prototype. Whether you’re researching an article or a novel or planning any kind of project, you need a place where you can organize all of that material. Like da Vinci’s notebooks, an idea journal helps you clarify your thoughts and express them more clearly. The action of writing down an idea forces you to think more deeply about it. Marie Curie was the first woman to win a Nobel Prize and the only person to win in multiple sciences. She also kept detailed lab notebooks that described her discovery of two elements: radium and polonium. These notes gave her a permanent and immediate record of her experiments and accomplishments. Though you may not be a scientist, an idea journal acts as a lab notebook of sorts. While working on a project, you can use it to record each step of your journey: the difficulties that set you back, the hurdles you overcome, the milestones you make, and your final achievements. The idea journal helps you avoid repeating mistakes in the future. And, you can flip through it to see all the steps you took toward completing your goals. Here is a photo of a page from one of Thomas Edison’s notebooks. He writes at the top of the page things doing and to be done. His to-do list runs for several pages and includes an amazing number of ideas, including an electrical piano, “unflammable” insulating material, ink for the blind, and an apparatus to help the deaf. Edison’s to-do list shows how we can use an idea journal to warm up our creative muscle. Your lists can reveal to you a detailed picture of the things you’re passionate about and can even show you what field of study you should pursue. Best of all, it motivates you to fight procrastination, list your goals, and start working to accomplish them. It reminds you to not abandon your dreams, but continue to strive to achieve them. Beatrix Potter is most famous for her children’s stories about Peter Rabbit and her beautiful watercolor illustrations. However, she was also keenly interested in the natural sciences, especially botany. From the age of 15, Beatrix Potter kept a journal in a secret code she had invented. The code was not cracked until 15 years after her death. Potter’s journals are filled with accounts of the long walks she took and her observations of the natural world. It was in this journal that she began to outline her scientific theories. She also recorded her opinions on society, fashion, art, and current events. Potter practiced her observational skills by writing in her journal. Your notebook will train you to be observant as well. Writing encourages you to be curious, ask questions about the world, think innovatively, and find creative solutions to the problems you encounter. Ready to start your idea journal? Ultimately, there are no rules set in stone when it comes to making yours. It’s up to you to decide what to fill it with—just remember that its purpose is to inspire you. An idea journal doesn’t have to be a physical notebook, although writingwith a pen and paper will give you the feeling of creating something and make your ideas that much more real. Personally, I have several idea journals. For example, I love using Evernote to store the many articles and quotes I collect when I’m researching writing projects. Evernote has a feature that allows you to save anything you see online—including text, links, and images—into your account with a single click. Additionally, I journal almost every day using an app called Day One that has a simple and elegant interface. Ultimately, the idea journal is a portable laboratory where we can record our own unique perspective on the world, note the things in our lives that awaken our muse, and experiment with new ideas. Unemployment in the Hunter Valley outside Newcastle has come down by over 7 per cent in the past 12 months. The latest report released by the Australian Bureau of Statistics on April 21 showed that unemployment in the area went from 12.8 per cent in March 2015 to 5 per cent in March 2016. And while the rate had risen by 1.3 per cent in the last month, the situation is much better than this time last year. The March 2015 rate was the highest unemployment rate this area had seen since August 1999, when unemployment shot up to 14 per cent. The figure was also the highest of any region in NSW at the time. But since March 2015 the rate has gradually come down, reaching 3.7 per cent in February 2016, the lowest rate since August 2013 (2.3 per cent). Maitland Business Chamber president Craig McGregor said he was not sure of the exact reason why unemployment has improved so much over the past year, but believes it may be related to the mining industry. 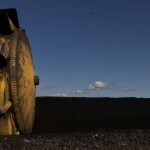 “It shows that last year was the height of the mining downturn,” he said. 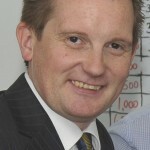 Along with his role as chamber president, Mr McGregor is also the director of Retain HR and Hunter Recruitment Group. He said in his workplace he has had many conversations with people who are hesitant to join or re-enter the mining industry, because of its uncertain future. However, Mr McGregor said youth unemployment continues to be an issue in the Hunter, as businesses are employing job seekers who have years of experience under their belt. “Youth are probably missing out on opportunities because they have to be trained,” Mr McGregor said. The youth unemployment rate recorded in March 2016 was over double that of regular unemployment, coming in at 11.9 per cent. He believes this problem can be solved through more awareness from a business perspective and further government assistance to employ and train youth. The Hunter, excluding Newcastle and Lake Macquarie, is 8 per cent. It is slightly higher in the urban areas of Newcastle and Lake Macquarie at 8.1 per cent. These are the third-worst figures for the State, where the average is 5.9 per cent. 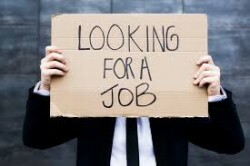 JobsInTheHunter.com.au’s David Smeeth said the figures showed that many of the full-time positions had gone to those already in work. “There is often comment that people should be prepared to move to get work, but the success of JobsInTheHunter.com.au and its focus on jobs on the region shows that people want to work where they are committed for lifestyle, family and social reasons,” he said. The JobsInThe Hunter.com.au website was created to enable people to find work and advancement in their local area, where they have the local knowledge and infrastructure to support them through the transition, he said. 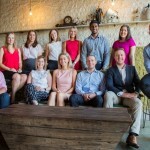 JobsInTheHunter.com.au aims to be a one-stop employment and skills marketplace for the Hunter Region and Newcastle, whether it’s looking for a new or better job or in the market to hire new talent and experience through its sister-site, SkillInTheHunter.com.au. The release yesterday of the October employment figures comes amid a few months of doubts about their accuracy and value. Nationally, unemployment rate has held steady at 6.2 per cent, with more than 24,000 jobs created last month. September figures were revised after the Bureau of Statistics re-evaluated seasonal adjustment because of recent survey changes. 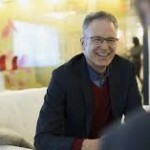 JobsInTheHunter.com.au Founder Tim O’Brien says it’s time to develop more reliable and useful monthly jobs figures. “When the Australian economy was booming, there wasn’t the same need for these figures as there is now because there was virtually full employment,” Mr O’Brien said. “But, even then, there was talk of Australia’s multiple economies and how resource states had a different – better – economic profile than others. Mr O’Brien said regions were encouraged to develop strategic plans for their economic and social progress, usually through state and local governments or agencies, and to optimise these strategies solid research data was needed. After capital investment in a region, the level and nature of available jobs was the usual indicator of progress and success, he said. Mr O’Brien said the value of a regional approach in service to the jobs market had been demonstrated by the success of the JobsInTheHunter approach to regional employment development over the past three years, with hundreds of local jobs being advertised. It now had websites in two NSW regions and one in Queensland. Here is this week’s update from Tim O’Brien (Founder of JobsInTheHunter.com.au) relating to the Hunter employment market. Tim O’Brien (Founder of JobsInTheHunter.com.au) has released the first in a new series of personal weekly video updates relating to the Hunter employment market. 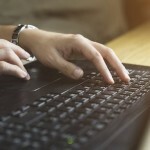 The success of locality-based jobs website JobsInTheHunter.com.au has prompted expansion interstate to Queensland’s Sunshine Coast. A better-than-expected September unemployment figure of 5.6 per cent hides a deeper concern in the jobs arena, says JobsInTheHunter/JobsOnTheCoast CEO Tim O’Brien. The unemployment rate had plateaued at 5.7 per cent since mid-year, which was positive. But the rate of jobs growth was slowing and the participation rate – that is the number actively looking for work – has fallen, Mr O’Brien said. “In the Hunter Region, the biggest impact is caused by the switch in the coal industry from mine development to a production focus. This is behind some of the turndown in employment because production is more capital intensive while construction is labour intensive,” he said. Mr O’Brien said there were some signs that seasonal employment in retail would start to lift over coming weeks. There were 9100 jobs added in September as the unemployment rate fell from August’s four-year high of 5.8 per cent. Full-time positions rose by 5000 while part-time jobs lifted by 4100 in September. The participation rate was 64.9 per cent, down from 65 per cent in August. The aggregate monthly hours worked fell to 1.6 billion hours. There has been a growing interest in the online jobs market via the JobsInTheHunter/JobsOnTheCoast websites over recent months, reflecting growing unemployment and insecurity by some still in work, Mr O’Brien said. Hits to the combined Hunter and Central Coast sites were 81,288 in September, a rise of almost 3560 per cent on September last year. 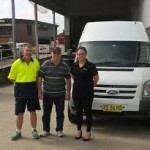 “Our websites are quickly becoming the premier market for jobs in the Hunter and Central Coast regions at their respective sites at jobsinthehunter.com.au and jobsonthecoast.com.au,” Mr O’Brien said. 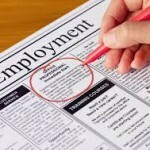 The on-line jobs website jobsinthehunter.com.au has bucked the trend of higher unemployment. The website that started early this year has grown to list more than 450 jobs this week. Its sister-site on the Central Coast shows a similarly buoyant result with about 200 jobs listed, making a combined total of 650 jobs across the two regions. JobsInTheHunter and JobsOnTheCoast CEO Tim O’Brien said the lift of 0.1 per cent in the national figure of registered unemployed to 5.8 per cent was in line with expectations. “But it’s clear that employers are looking for new and better ways to fill their vacancies and our websites, where employers can advertise and self-manage their vacancies for free, have grown traction rapidly over the year,” he said. The site also welcomes use by recruitment agencies and employment service-providers as an additional resource for them in fulfilling their client needs. The lift in the number of vacancies corresponded with greater volumes of visitors looking through the lists of jobs. Hits to the combined Hunter and Central Coast sites are almost 89,000 a month, a rise of almost 60 per cent on August last year. 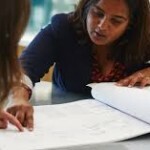 “Jobs growth is a stated priority of the new federal government and changing dynamics in the regional economies ensure there will be continued interest in jobsinthehunter.com.au and jobsonthecoast.com.au,” Mr O’Brien said.